Die casting is a kind of casting process that injecting molten material under high pressure into molds. This process is mainly used for producing zinc and aluminum parts with thin wall thickness and complex shapes. Unlike investment casting, die casting is famous for its capability to produce very complicated parts with pin point accuracy. CFS foundry is the leading Chinese die casting company specialized for producing aluminum or zinc castings with sharp definition, strong material integrity and smooth or textured surface finishes. All our die castings are mainly service for industries: Automotive, Agricultural, Commercial Vehicle, Heavy Equipment, Off-Highway and Recreational Vehicles. 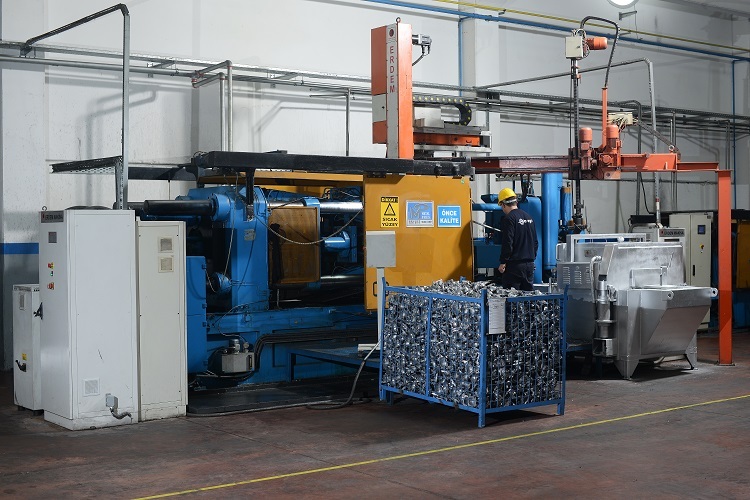 CFS foundry is equipped with a large variety of die casting machines with tonnage ranging from 160T to 2,500T. So no matter it is small, medium or large parts, they are all available for production in our China company. Our knowledge, combined structured project management methods, supports our customers from concept, tooling and sample production to full-scale manufacturing. What’s more, our full-service company specializes in manufacturing cast products made from all the aluminum and zinc alloy materials. Besides, we also have in house multiple natural gas concentration melting, an electric holding furnace and infiltration production line for aluminum castings and zinc castings. We are a quality-driven manufacturer and mechanical part supplier; adhering to full compliance to TS16949 quality standards. 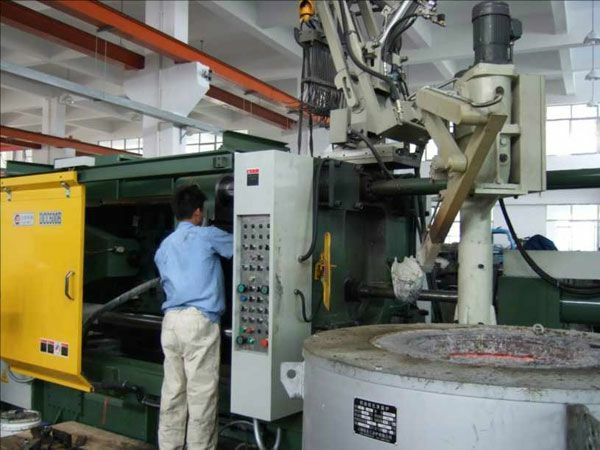 Our 20,000 square meters service facility is divided between die casting process and the secondary machining operations. This manufacturing diversity allows you to take your most complex components and have them delivered to your company without extra operations! Our China Die Casting Company uses a top-of-the-line die cast tooling design process for creating our molds from several material types. Depending upon the die cast project specifications, we mainly use Swedish DIEVAR Steel for tool construction. DIEVAR is known as a high performance, chromium-molybdenum-vanadium alloyed, hot work tool steel. Also, DIEVAR is produced with the very latest in production and refining methods. The specialized chemistry and manufacturing strength of DIEVAR, offer a nearly unmatched resistance to heat checking, gross cracking, hot wear and deforming. At our company, we have a separate company division that is completely dedicated to tooling and mold design. Our engineering team use computerized modeling to simulate the filling, cooling and expected shrinkage for highly complex components. This technique allows for thorough evaluation and refinement of the tooling design before tooling construction begins — and ensures that the tooling will produce the best possible part with optimal production efficiency. Our in-house mold making team can also assist in formulating a comprehensive testing program to ensure the final integrity of your parts. All in-house machining and secondary services for die casting are completed through more than 40 sets of imported CNC machining centers, 30 sets of lathes and a variety of general processing equipment from blasters to Ultra Sonic washing machines. Our industry leading facility has the experienced team of Engineers, Operators and Inspectors to finish your part in-house and avoid excess costs with outside suppliers. Besides, we provide fully fitting and product assemblies with custom packaging as per customer specifications and needs. Why Die Casting from Our company in China? When searching for the best die casting company, customers aren’t just searching for the lowest costs, they want quality parts, on time and they want to be able to communicate more easily with manufacturers. We spoke with design engineers from a number of industries to find out what they look for when evaluating the best die casters and find out some of the reasons why they chose to partner with CFS company. Design engineering is changing and it’s changing fast, having knowledgeable and experienced die cast engineers who can design for manufacturing is important for our customers and for a successful project. From material selection to choosing the optimal process and eliminating secondary operations, CFS’ engineers work with each customer during the design process to make sure the part design will succeed in mass production. If you want to get the most of your die cast design, it is best to involve our engineers early on during your design phase. 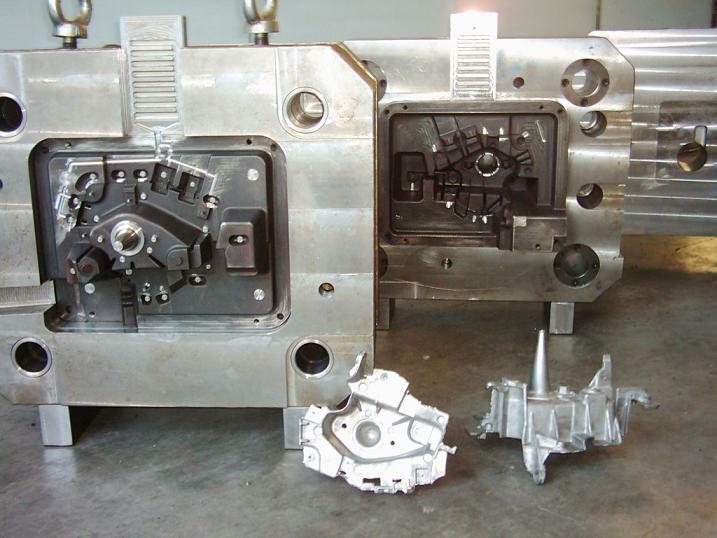 One of the major differentiators that distinguish CFS from other die casting companies is the quality of our tooling. All of our dies are made using a specific steel type with an additional heat treatment that can withstand a high number of shots and maintain the integrity of the component being manufactured. With little downtime, our tools create consistent, complex parts shot after shot and last longer than most of our competitors. Many of the tool makers in our company have been with CFS for over 10 years. Our customers appreciate that we are taking the right steps to invest in the future with our apprenticeship program —we have trained over 41 toolmakers! Our tooling expertise is not limited to one industry. CFS toolmakers have worked with thousands of customers from nearly every industry and can modify solutions if any issues arise during the production process. Our customers need to have the ability to collaborate with die casting company any time they need. With 23 locations across the world, we know the difficulty of communicating with different time zones and different languages. In our company, we have more than 10 sales manager who are also serving online at 7×24 hours. Our sales managers are all skilled in die casting field, and can help our customers to solve problems timely. While we are one of the largest die casters in China, with resources and partnerships to benefit every project, we are always keep good comminucation with our customers. It is not uncommon to hear about a die casting company that has gone out of business in the middle of a project leaving customers frantic to find a new supplier. In fact, we have had countless customers that called on CFS to take on projects last minute. One company, in particular, transferred their tooling to our facility; we quickly made improvements to the die to increase productivity! While working with a smaller die casting company has its benefits, if they were to go out of business or take a massive hit from the economy where would you turn to complete your project? Our customers experience our stable management and take advantage of our continued growth. Don’t waste time and money searching for a new die caster every time for your new product! Start one project with us in China, we will offer you our most professional solution in a cost effective way!